As a follow-up to FlushDraw’s first-hand coverage of the United States Senate’s recent hearing on internet gambling, we’ll provide some related links and content. The hearing, held yesterday before the Senate’s Commerce, Science and Transportation subcommittee on Consumer Protection, Product Safety, and Insurance, and was titled “Expansion of Internet Gambling: Addressing Consumer Protection Concerns.” The hearing was linked to that subcommittee’s work on a Senate bill currently under consideration, the Cybersecurity and American Cyber Competitiveness Act of 2013. A link to an archived webcast of the proceedings is now available. The first ten minutes or so of the 1:43 webcast is empty screen filler while the hearing slowly gets underway; allow the webcast to buffer and then skip forward to save some time. As noted in our earlier report, the hearing quickly devolved into a general call to curtail expansions of online gambling and override the 2011 Justice Department opinion issued by Attorney General Eric Holder, creating a new version of the UIGEA if need be. The four “experts” who spoke in this hearing also submitted formal written statements to the subcommittee’s members, and we’ll append them here as they become generally available. Nearly seven years ago, Congress voted overwhelmingly to protect vulnerable communities within our country as well as the integrity of professional sports by stopping the expansion of gambling on the internet. Unfortunately Congress’ clear intent in the Unlawful Internet Gambling Act of 2006 (UIGEA) is now under assault. A pro-internet gambling coalition of large states desperate for more revenue and foreign-owned gambling companies have lobbied the Executive Branch to get around Congress’ intended protections and, at the end of 2011, they received an extraordinary boost from an unlikely source: the U.S. Department of Justice. On Friday, December 23, 2011, the Justice Department (DOJ) announced it was upending more than five decades of consistent interpretation of the 1961 Wire Act which prohibited all gambling over the internet with a new, unilateral opinion that the law simply applied to online sports gambling. The Wall Street Journal described what happened next: “When the U.S. Justice Department in December narrowed its interpretation of the 50-year-old Wire Act, saying it banned only sports betting and not other forms of online gambling, the decision sparked hope in state capitals that lotteries could start selling tickets online and lead a charge into online gambling.” The “charge into online gambling” was exactly what Congress intended to prevent – with very good reason. DOJ’s determination has opened the flood gates for states to accelerate plans, many already underway, to go even beyond ticket sales to offer casino-like games on the Internet under the umbrella of their state lottery system. Several states have either passed on-line gambling statutes or are in the process of passing them quickly in upcoming sessions to take advantage of the Department of Justice ruling. It’s those “younger players” and other vulnerable populations like seniors who are at the most serious risk. Ninety-three percent (93%) of teens age 12-17 utilize the Internet and 97% of teens of the same age participate in some form of on-line gaming making them attractive targets for gambling marketing as well as illegal and fraudulent operators. Often, Congress is put in situations where issues that are already problems require solutions. Here is an opportunity to address an impending matter before it becomes a crisis. 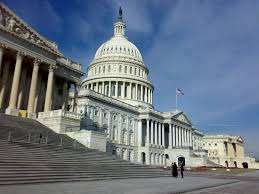 Congress still can act to reassert its authority and re-establish its intent to prevent the proliferation of online gambling in the U.S. By reinstating the more than 50-year old interpretation of the Wire Act and actually strengthening UIGEA, you can protect our children and families from the erosion of safeguards Congress has previously established. We recognize Congress did not create this problem. Congress, though, does have the power to protect our seniors, our children, and give law enforcement the tools they need to protect the vulnerable from illegal predatory gambling interests. We urge bi-partisan congressional action to restrict the imminent expansion of on-line gambling throughout states, lotteries, and off-shore operators. Federal restriction of on-line gambling is vital, urgent, and consistent with recent congressional intent. In 2006, the FOP supported the enactment of the “Unlawful Internet Gambling Enforcement Act.” This law did not address, expand or redefine any criminal activity but it did require financial transaction providers to block and refuse transactions associated with illegal gambling. The aim of law enforcement in supporting this legislation was not only to enforce existing gambling laws — like the Wire Act as it was interpreted and applied at that time — but also to help combat the use of these offshore gambling operations to launder money from other criminal enterprises. It is clear from testimonies given before Congress on this issue and the new application of the statute as interpreted by the Justice Department that law enforcement needs a better, clearer framework as well as new tools if we are to achieve these ends. Organized criminals engaged in money laundering know that they can exploit  shortcomings in countries like Costa Rica, which is why they set up shop there. This is starkly demonstrated by the fact that 4 of the 11 individuals indicted by the U.S. Department of Justice for operating online gaming sites listed their residence as Costa Rica. We know this for certain: organized crime is using offshore online operations to launder their profits. We also know that terrorist organizations are or could be using the same strategies to launder funds. According to counterterrorist analysts at Jane’s Strategic Advisory Service, there are indications that terrorists in Afghanistan have been using illegal gaming sites to launder their money. The FOP is not advocating in any expansion in defining what online gaming activity is deemed unlawful. This was the position we took when we supported UIGEA and it is the position we still hold. We’ll add the other two statements (or highlights thereof) if printed forms become available.